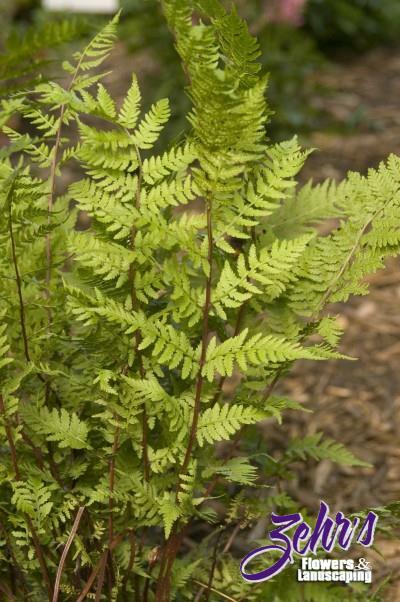 Strong-growing and dependable, the Lady ferns are great garden plants. This selection from the New England Wildflower Society features red stems, making it a great choice to combine with purple-leaved plants. Tough and easy to grow, this sultry beauty is the right choice for perennial borders and woodlands alike.